The rumor mill has now started talking about Xiaomi’s forthcoming phones for 2018. It has been recently reported that xiaomi may launch Mi 7 and Mi 7 Plus simultaneously in March 2018. Now, an image showing the alleged back panel of the Mi MIX 3 has also surfaced on China’s microblogging site Weibo. The appearance of the rear shell looks quite similar to the Apple iPhone X thanks to the presence of a cutout for vertical dual cameras. It also features a cutout for the rear-facing fingerprint scanner. Below is another image that shows a plastic cover for the back panel of Mi MIX 3. It is too early to speculate on the design and specifications of Mi MIX 3 since the company has recently launched the Mi MIX 2. Since the original Mi MIX concept phone and Mi MIX 2 arrived full screen design, it is likely that Xiaomi will continue to use the same design on the Mi MIX 3. 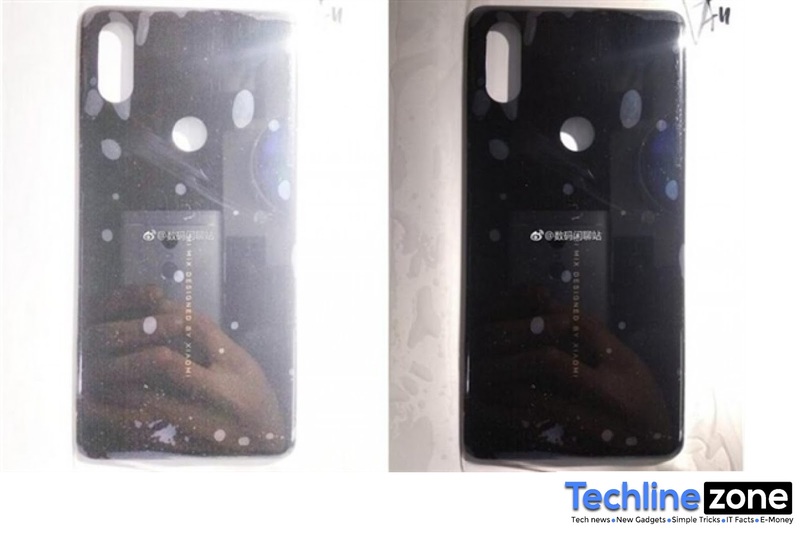 Couple of leaked photos of the prototypes of the alleged Mi MIX 3 that had surfaced in the previous month revealed it would be arriving with almost 100 percent screen-to-body ratio. The prototypes suggested that the rear panel of the phone may feature all the sensors and earpiece. The rumor mill may reveal information on the Xiaomi Mi MIX 3 in the coming months, but we are going to see a lot of leaks on Xiaomi Mi 7 and Mi 7 Plus that are slated to debut in the first quarter of 2018. Hence, it is advisable to digest the early rumors on Mi MIX 3 with a pinch of salt as we may see concrete leaks on the Mi MIX 2’s successor later in the coming year.